Are you looking for a great way to store your Hockey Gear? Getting it out of the bag alone will help with the smell that we've all come to love/hate, but hanging it up and letting it air out, will really help control the odor and growth of bacteria. Thanks to Mike over at Hockey University for letting me share this. 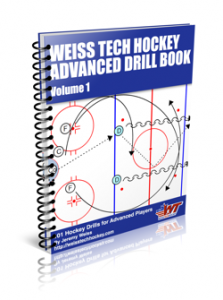 He has a great article on how to build a Hockey equipment tree. If you are interested in making what you see in the pictures below, read the instructions here.